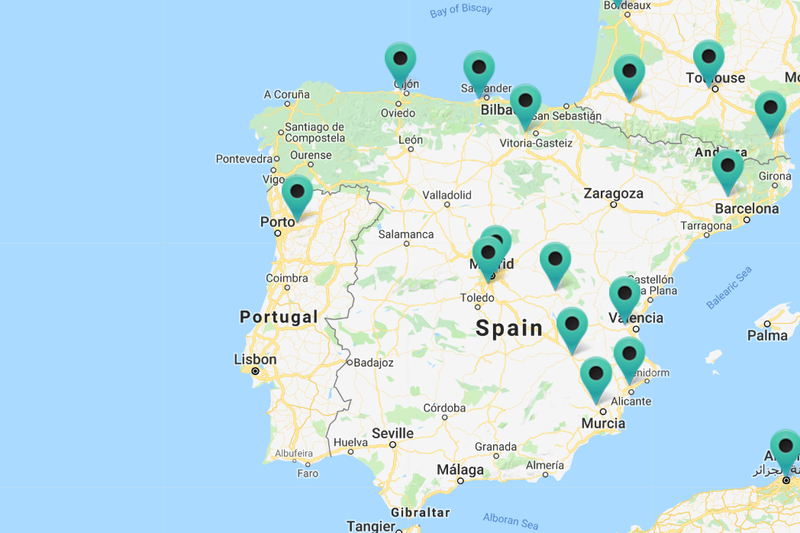 Kobelco enters Spanish and Portuguese markets with four new authorised dealer partners - Kobelco Construction Machinery Europe B.V.
Kobelco Construction Machinery Europe B.V. (KCME) is pleased to announce the expansion of its European network with four new authorised dealer partners. Over the past three years, the Spanish and Portuguese construction industries have seen significant growth, mainly driven by residential and commercial construction, and the appointment of Maquinaria J Aurteneche, Malcop s.l and Aldimak (in Spain) and Fuelmac, Lda (in Portugal) demonstrates KCME’s commitment to service its customers in these regions. Maquinaria J Aurteneche was appointed as an official Kobelco partner in January and is KCME’s first Spanish dealer. Established in 1945 in the north of the country, the family-run company specialises in the sale of construction, excavation and forestry machinery, offers machine rental and is well-equipped for aftersales servicing and providing spare parts support. So far, the new dealer has taken delivery of a number of mid-range and large Kobelco models. Appointed in February, Malcop s.l covers a number of central and eastern areas of Spain, including Madrid, Toledo, Valencia and Alicante. The company, which was founded by brothers, Antonio and Pablo Ruíz, has been in operation for more than 27 years, specialises in groundworks, excavation, demolition and recycling and offers customers a number of additional support services including specialist technical assistance and a mobile workshop. Malcop s.l offers its customers the full range of Kobelco machinery. Aldimak joined the Kobelco brand in June and will service KCME’s customers in the Catalonia and Andorra regions. While the dealer has always specialised in the sale of earthmoving equipment, it has recently expanded its portfolio to include forestry machinery and also has some experience in the recycling and demolition sectors. Aldimak is dedicated to aftersales servicing and even has its own global maintenance programme to help customers maintain their excavator fleets. The first Kobelco machines are expected to arrive at the dealer by the end of August.